If you want to the best budget binocular that offers both features and performance, then you can consider having Bushnell 10×42 fusion 1-mile arc laser rangefinder binoculars. 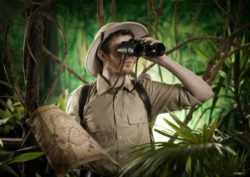 Bushnell is a popular brand for high-quality budget friendly binocular. And this perpetual model especially offers world-leading laser rangefinding capabilities. So, not only it finds every detail but also combines these details with rich contrast and stunning clarity from edge to edge. 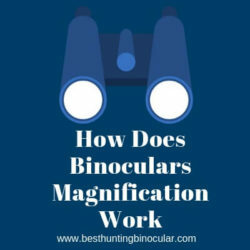 Today we are going to find what actually this best hunting binocular offers and what great it can give in different light and distance conditions. This in-depth Bushnell 10×42 fusion 1-mile arc laser rangefinder binoculars review will tell either it is worth your investment or not. So, let’s begin. The Bushnell 10×42 fusion comes with some efficient features like XTR technology for ultimate light transmission, Rainguard HD water-repellent lens coating, multicoated lenses, etc. also it has roof prism system, center focus system, and twist-up eyecups. It supports tripod if you need any. The prisom of the binocular is Bak-4. Its an excellent lens for a clear view, color, and contrast after Porro prison. If you already used this prison, then the BaK-4 may give you little crowdy impression in view. 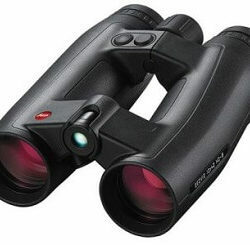 The best feature of this binocular is its ranging performance. We are not claiming its the best one in this category but undoubtedly its excellent in the cost range and of course over the Bushnell Fusion 1600 model. Here is a trick for getting the actual best result on max range view. Many people complain they don’t find the reality of the experience of view and what they read or see in advertise. You will get or understand the best view by cutting 25% of the advertised view range. 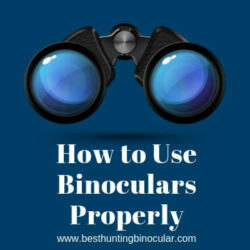 Its an overall unwritten rule for every binocular and it works. 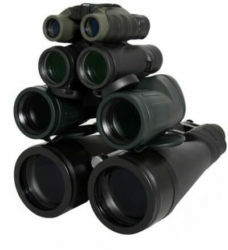 The binocular has the variable Sight-in option of 100, 150, 200, and 300 yards in RiFle mode. Also, has some other selective targeting modes like automatic scan, BullsEye and Brush modes for different shots. The first one uses to take all the reading of distance to consider and try to make a fast decision to adjust the view. The Bulls Eye option gives the easy acquisition of small target and game without focusing background objects that have a more strong signal. This option is best for practice shootings. When there is more than one object need to focus, the closer objects will appear bright. Next, the Brush option, that actually ignore bush and tree branches and only show the background objects. In a simple word when you need to see more than on object form longer distance, this mode comes handy. Also, we tried this binocular in normal to windy weather with a tripod too. It was great as it is on a walk in the normal sunny day. However, it’s a weatherproof binocular that has fog, rain, dust resistancy. Infect, its usable for below -30 degrees to 120 plus. We also try to disclose all the positive and negative aspects in this Bushnell 10×42 fusion 1-mile arc laser rangefinder binocular review. Have a look below. The binocular can range a target out of 1760 yards in the ideal condition. Comes with some essential Ballistics functions for the 800-yard limit. The advance ranging modes ensures your range the intended focus. Incudes a Butler Creek flip-up lens caps for objective lenses. Offers super performance ranging off- hand. 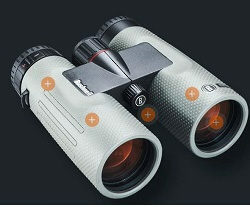 Overall sleek and compact as a ranging binocular. Ranging button, focus, knob etc. are little hard to push. Take a long time to show a reading for 1200+ yards. We tested the Bushnell 10×42 against Nikon, Vortex, Zeiss and some others. This successfully performs in a different condition as good as the pricy and branded binoculars of 1k range. If you know its all features well, and how to utilize them, surely you can get the best out of it. We even tried around 1700+ yards even from a farmhouse across a valley to a mountain. It gives the best crips view that you want for sightseeing, hunting, etc. you may not find all the details at this point or comfortability, but the overall view is satisfactory. For one object focus during hunting and bird watching is best at 800 yards. The Bak-4 lenses do the best job to bring out every possible color, light, and details especially compare than Vortex leaser rangefinder. During the dust or dawn, its good at focusing small objects at long ranges. So you can imagine what it could do in proper light condition. Bushnell 10×42 fusion 1-mile arc laser rangefinder binoculars. Plastic cups for the lens. 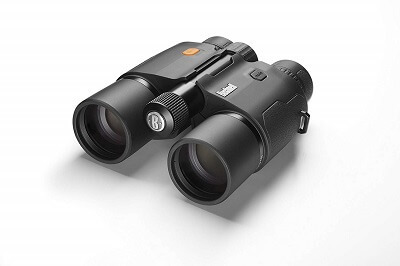 The Bushnell 10×42 is for those who need an affordable option for rangefinder binoculars. It’s three view modes especially the BullsEye is an outstanding mode that could handle most tough ranging scenarios. The optical performance is ok, but it could be better. In the twilight condition, it covers 1760 pretty well. But in normal daylight, it’s good to max 1600 yards. You can use it while wearing glasses too. Overall, it’s versatile, suitable for different ranging targets, easy and comfortable to use. We hope this Bushnell 10×42 fusion 1-mile arc laser rangefinder binoculars review will help you to make a wise decision if you are thinking of buying any of this type of binoculars now or later.